Automatic transmission(AT) enables shift up & down without disengagement of clutch, and is operated by three kinds of gears. Sun gear is the transmission core parts located at the center of the three gears. 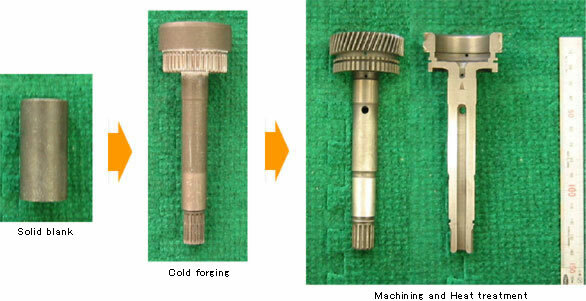 Cold forging reduces cutting process, eliminates deep drilling, and improves productivity. Manufacturing cost reduction by approx. 30% with new manufacturing process.